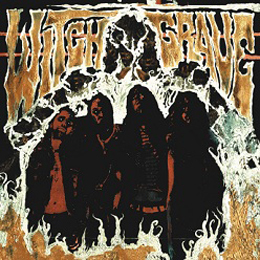 Witchgrave form Sweden are a new phenomenon like we had Ghost and now these days Uncle Acid and The Deadbeats. The play N.W.O.B.H.M. just like it came straight from the old days of glory. Their mini-album “The Devils Night’ sold out very quickly. In those days Witchgrave excisted only out of two people. Since then they have ground into a proper four-piece band. Also the production is a lot better, but not in a modern, crappy way. The sound of this album is very clear en more powerful than their mini-album. This means the band did a big step forward. Their lyrics deal with the occult, black magic and other dreadful things. Think about bands like Venom, Angel Witch and fors are Dark Throne back in their early days and you get this band.